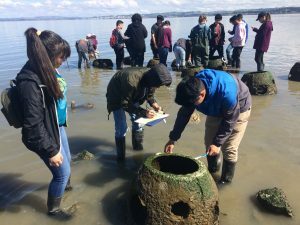 Wild Oysters is a high school program that uses native Olympia oysters as a teaching tool. Serving 500 students a year, Wild Oysters provides a comprehensive Meaningful Watershed Educational Experience, offering in-class lessons and field trips about oysters, climate change and ecosystem resilience. Want to bring Wild Oysters into your classroom? Contact education@thewatershedproject.org for more information. 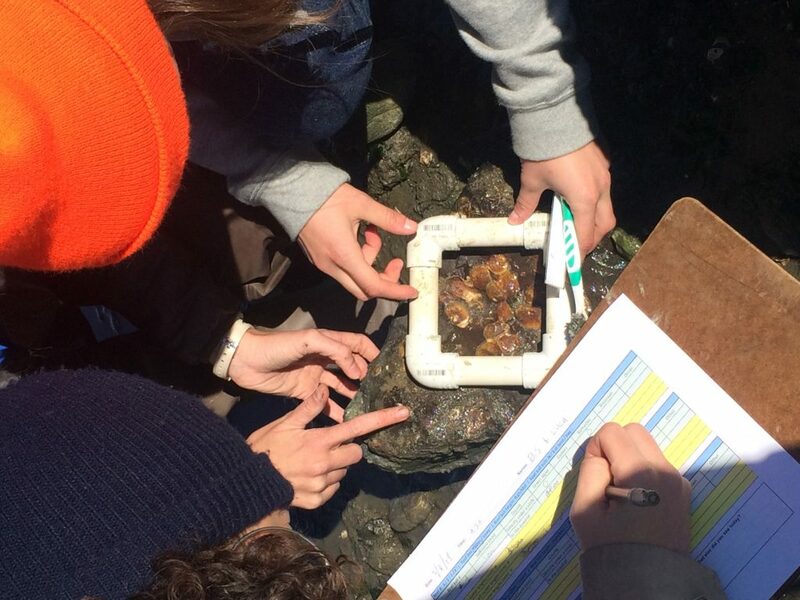 Through Wild Oysters, students collect and analyze data about Olympia oysters at our artificial oyster reef at Point Pinole. 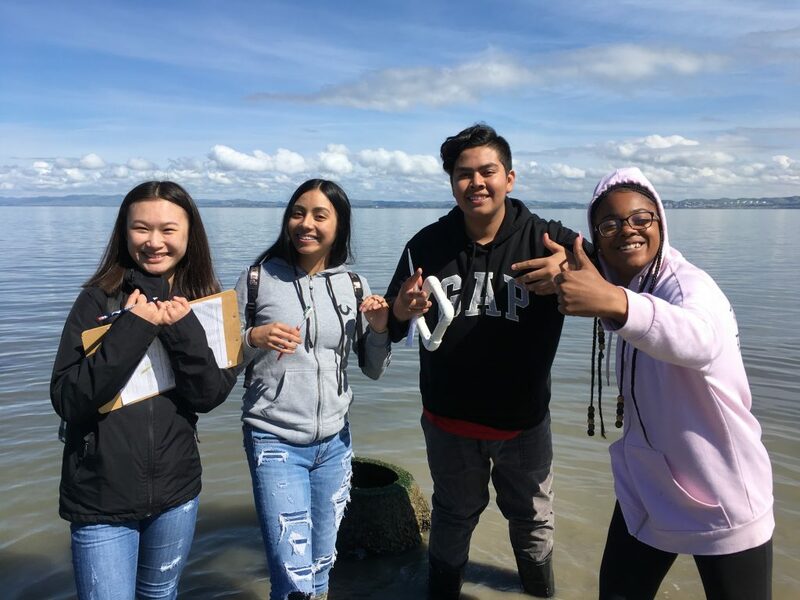 They experience a day in the life of a marine biologist as they put on rubber boots and explore the San Francisco Bay. 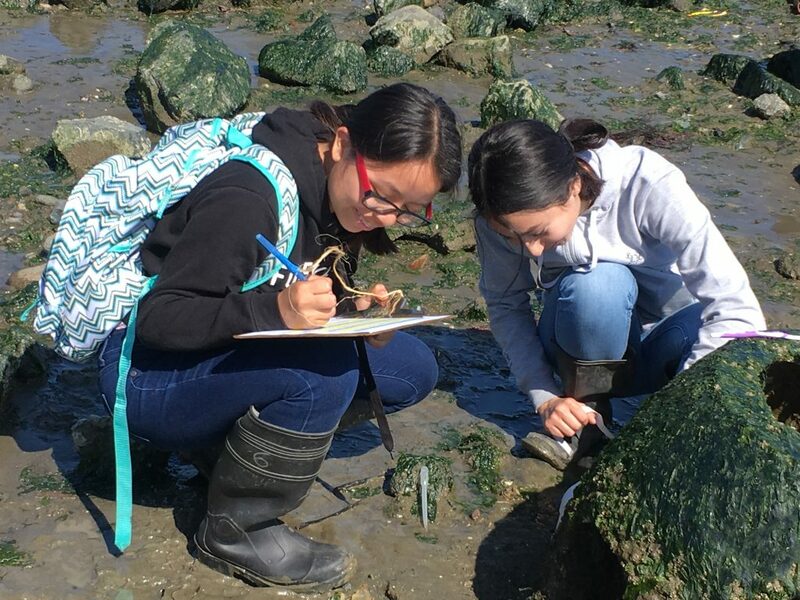 Students gather information from a variety of sources and work together to construct an explanation for what is happening at the oyster reef. They engage in argumentation as they evaluate evidence and discuss which hypothetical location would be best for a new oyster project. 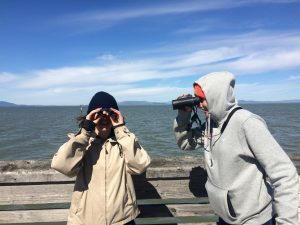 They have the opportunity to taste oysters in Tomales Bay as they learn about aquaculture and explore shoreline habitat.